National truck stop and service center network donates $15,200 to support drivers and their families who are out of work due to injury or illness. KNOXVILLE, Tenn. – Jan. 14, 2019 – Each day, thousands of truck drivers stop at an AMBEST truck stop and service center along their route, and over the last three years, AMBEST has been re-investing in truck drivers’ health and financial security. The national company recently donated $15,200 to nonprofit St. Christopher Truckers Development and Relief Fund (SCF) to support semi-truck drivers and their families who are out of work due to a recent injury or illness. The donation raised the three year total to nearly $50,000. “We at AMBEST recognize the need to ensure that drivers have a resource to help when times become difficult. The St. Christopher Fund has been a proven partner ensuring aid to help the drivers who move goods across this great country. For the past three years, AMBEST has made this partnership a key element of our Annual Members Meeting. We hope to continue this in the coming years.” – Matthew Miller, Vice President. Donations to SCF help provide financial assistance to ill or injured truck drivers. Assistance may be in the form of direct payment to providers for household living expenses such as rent/mortgage, utilities, vehicle payments and insurance. SCF also provides health and wellness programs for drivers in hopes to prevent some medical illnesses. Some of these programs include smoking cessation and free flu, shingles and pneumonia vaccines. Nearly half (49 percent) of donations to SCF help pay sick/injured drivers’ mortgage or rent. Utility bills account for 17 percent, while 16 percent goes to vehicle expenses. For a full breakdown, click here. 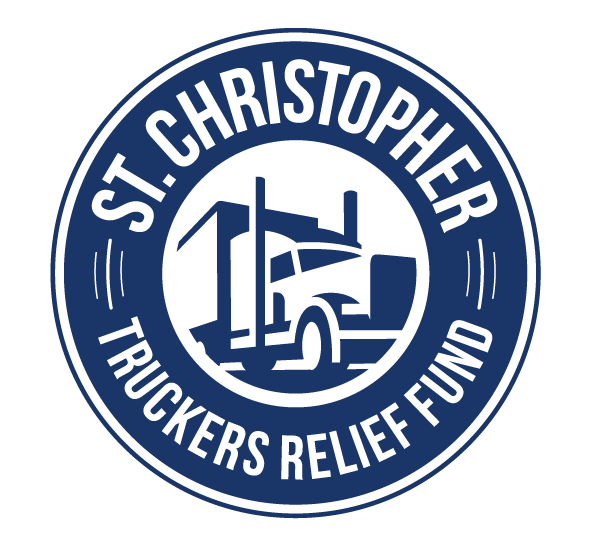 “Being a truck driver is one of the most difficult jobs, but donating to St. Christopher Truckers Relief Fund can help alleviate some of their stress,” added Dr. Kennedy. Founded in 1988, AMBEST is a member-owned, nationwide network of independent truck stops and service centers. Unlike big Wall Street companies, AMBEST locations are family owned businesses places where visitors are likely to find the owner with his or her sleeves rolled up ready to take care of them anyway they can. AMBEST’s goal is not to have a location on every corner. Rather, it takes pride in finding the finest locations along the most popular routes so drivers will always have a quality AMBEST location where and when they need it. For more information, visit www.AM-BEST.com. The St. Christopher Truckers Relief Fund (SCF) helps over-the-road/regional semi-truck drivers and their families who are out of work due to a recent illness or injury. For more information, visit TruckersFund.org.